Pencils Down, Pass the Remote: Community recap: Five full-length episodes we want to see after watching "Curriculum Unavailable"
Community recap: Five full-length episodes we want to see after watching "Curriculum Unavailable"
Hot on the heels of the news that Community will be back for at least thirteen more episodes (hopefully more since, contrary to a lot of speculation, the fourth-season deal did not specify an end date), the internet's favorite comedy delivered a phenomenal episode that both built on last year's "clip" show, "Paradigms of Human Memory," and moved the ongoing plot forward. Just like its predecessor, "Curriculum Unavailable" provided some tantalizing glimpses of the episodes that might have been, from a life-sized chess match to Troy buying an ATV. So here, in no particular order, are the five clips that I would most like to see made into full-length episodes (plus a bonus idea for a spinoff!). Enjoy, and keep repeating the mantra: Six Seasons and a Movie! Plot: After deciding that some serious soul-searching is in order, Britta attempts to convince a local Navajo elder of the seriousness of her vision quest and, after being rebuffed, scores some peyote from the (now dearly departed) campus drug source, Starburns. She is not prepared for the intensity of the experience, and neither is Greendale's local ecosystem. Why should we see the whole thing? Because of the wonderfully deadpan way that Gillian Jacobs asks how long peyote lasts. Plot: Abed goes overboard when given the assignment of writing a short story, and decides that his grasp of narrative technique is perfect for crafting a novel (which will, of course, later be adapted into a film). 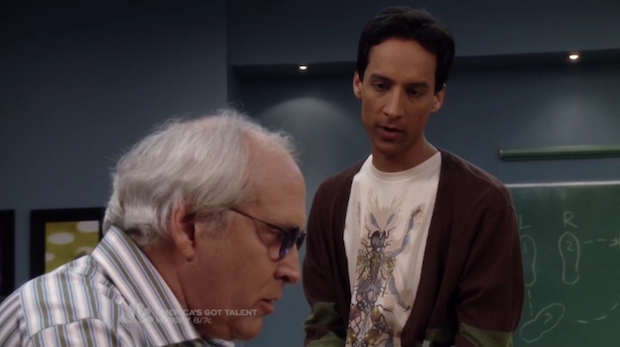 He settles on Pierce Hawthorne as his subject, but Abed's constant narration slowly starts to dismantle Pierce's already tenuous connection to reality, and he starts believing that he is actually a fictional character. Why should we see the whole thing? Because we need to take advantage of every opportunity for Chevy Chase to perform physical comedy. Why should we see the whole thing? For the Dean's flapper dress and matching heels. 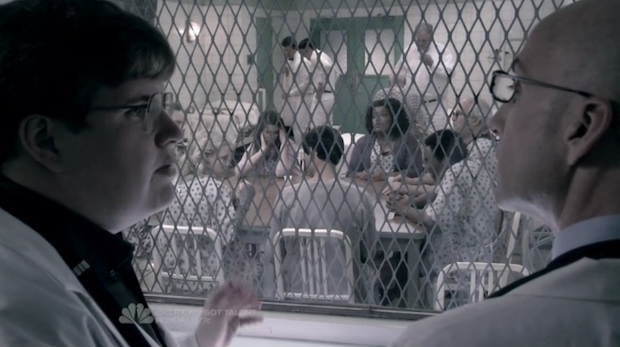 Plot: In an attempt to get government funding to rebuild the cafeteria after "The Maltese Paintball," Dean Pelton pretends that Greendale is a mental hospital while the study group (and Leonard) pose as psychotic patients. But when Vicki starts taking her role as Head Nurse a little too seriously, the group must band together to keep one of their own safe. Why should we see the whole thing? For Garrett's deep (and deeply disturbing) doctor voice. 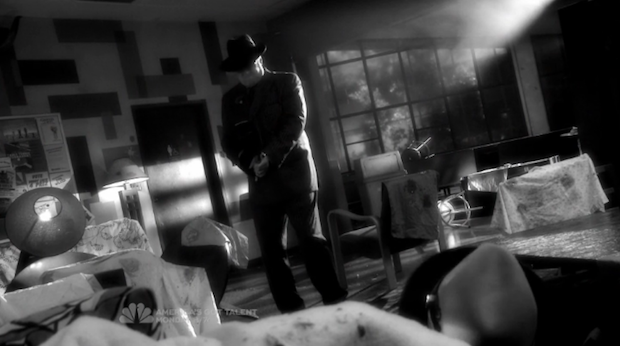 Plot: When Senor Chang finally suffers a psychotic break, he must be removed from his office as a security guard. Problems arise when the study group and Dean Pelton are informed by a psychiatrist that taking away all of Chang's power will cause him to snap completely and kill everyone. The solution? Make Chang think that he can solve crimes using "precogs," psychically sensitive beings who can see when someone... you know what? 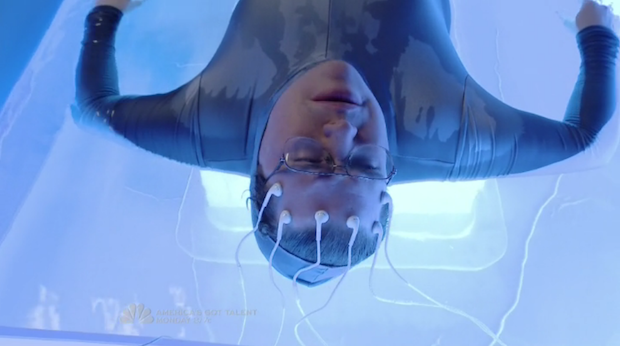 It's Minority Report. Premise: Officer Craig Cackowski is just your average beat cop, trying to keep the streets of Greendale safe while attempting to solve the murder of his mentor, a police chief who was gunned down by a hitman involved in a conspiracy with far-reaching implications. Unfortunately, constant distractions in the form of fake break-ins, firearm safety lessons and students dumpster-diving while dressed as Inspector Spacetime keep getting in the way of his investigation, giving the killers constant opportunities to evade his grasp. Why should we see the whole thing? Because a love of Antiques Roadshow and British science fiction would go perfectly with a drinking problem and an all-consuming desire for vengeance.